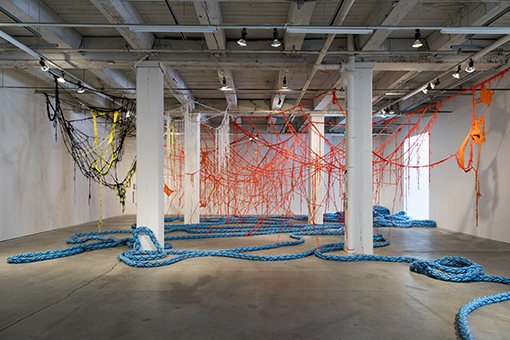 Sheila Pepe: Hot Mess Formalism examines how the artist often plays with feminist and craft traditions to counter patriarchal notions of recognized or accepted forms of art-making. Because Pepe’s works are often site-dependent, there is a critical relationship to traditional boundaries of museum display that are essential to her sculptural practice. While personal and cultural narratives often play a vital role in Pepe’s artistic practice, her work is left open to multiple interpretations. 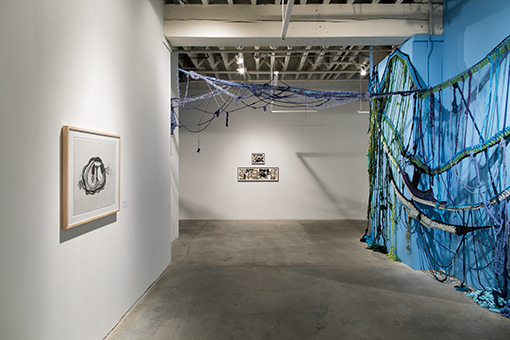 Sheila Pepe: Hot Mess Formalism is composed of more than 70 works, including a site-specific work responding expressly to the interior spaces of Bemis Center for Contemporary Arts. 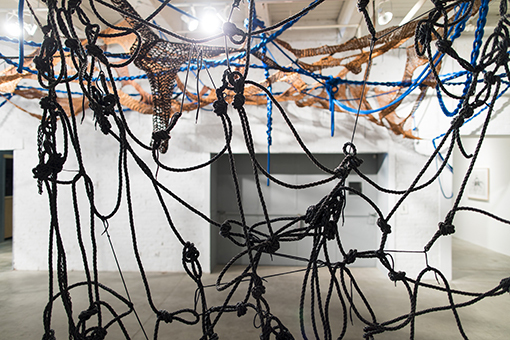 Visitors will experience the spontaneity in Pepe’s immersive structures, sculptural assemblages, and other works in the broadest examination to date of an artist who poses a formidable challenge to conventions of museum display, identity, and craft. Pepe first received significant recognition in 1997 with her participation in an exhibition at the Institute of Contemporary Art (ICA) in Boston entitled Gothic: Transmutations of Horror in Late 20th Century Art. 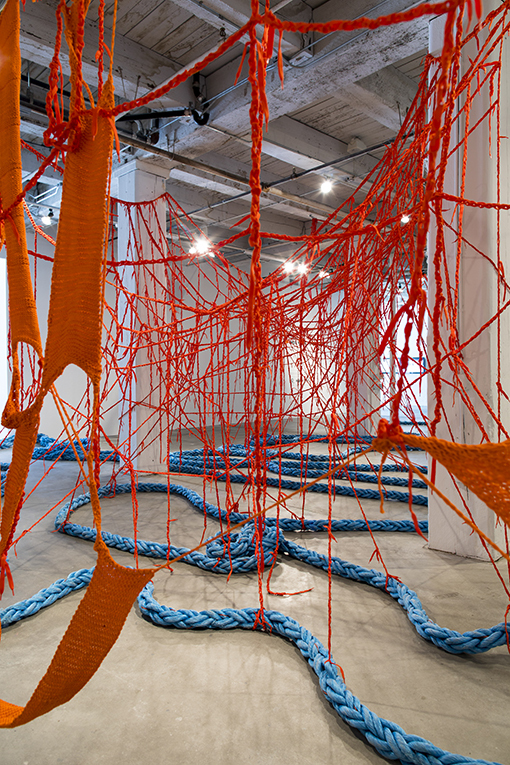 The artist’s name has since become associated with her large-scale crocheted installations and their conceptual engagement with feminism, queer theory, and economic class, themes that were highly prevalent in the art-world-discourse of the 1990s. What Hot Mess Formalism seeks to expand upon is the critical perspective through which Pepe is viewed, encompassing a wider range of influences and impulses. This includes the artist’s reinterpretation of the readymade, the historic concept coined by Marcel Duchamp, which is evident in her earlier pieces as well as her found-object installations and situates her work within the larger trajectory of Modernism. 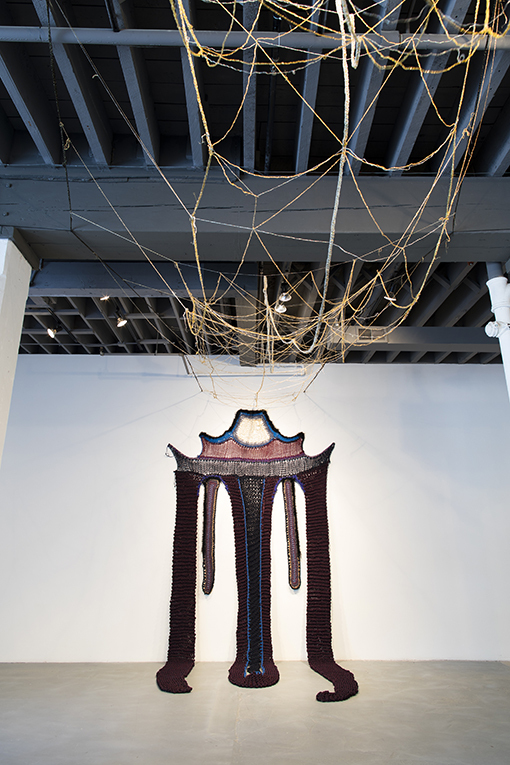 Additionally, considering Pepe within the current historical correction on the contributions of women artists provides further understanding, positioning her alongside figures including Magdalena Abakanowicz, Lenore Tawney, and Sheila Hicks, who pioneered a fiber-based practice more than 60 years ago. Hot Mess Formalism aims to provide visitors with a comprehensive understanding of Pepe’s work and appreciate the role she has held as a thinker and innovator for nearly 30 years. Visitors will also be able to view a remake of Pepe’s Women are Bricks (mobile bricks), a seminal piece which brought key elements of Pepe’s work to the forefront: domesticity, fiber, ceramics, and craft. 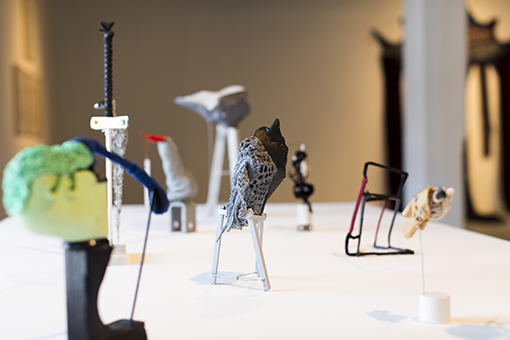 There will also be a wide selection of sculptures, drawings, and other works on view. Hot Mess Formalism is curated by Gilbert Vicario, The Selig Family Chief Curator, Phoenix Art Museum. 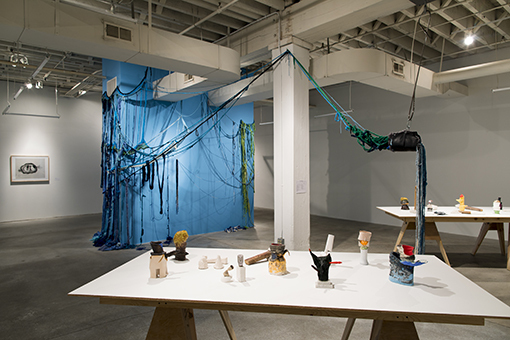 Hot Mess Formalism is organized by Phoenix Art Museum and is traveling to several venues accompanied by an illustrated catalog with contributions by Julia Bryan-Wilson, Elizabeth Dunbar, Lia Gangitano, and Gilbert Vicario. The publication is designed by Miko McGinty, Inc. and is distributed by DelMonico Books•Prestel. Sheila Pepe is best known for her large-scale, ephemeral installations and sculpture made from domestic and industrial materials. Since the mid-1990s, Pepe has used feminist and craft traditions to investigate received notions concerning the production of canonical artwork as well as the artist’s relationship to museum display and the art institution itself. 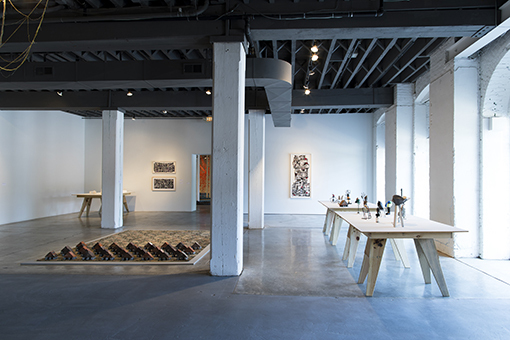 Pepe has exhibited widely throughout the United States and abroad in solo and group exhibitions as well as collaborative projects. Venues for Pepe’s many solo exhibitions include the Smith College Museum of Art, Northampton, MA and the Weatherspoon Art Museum, Greensboro, NC. 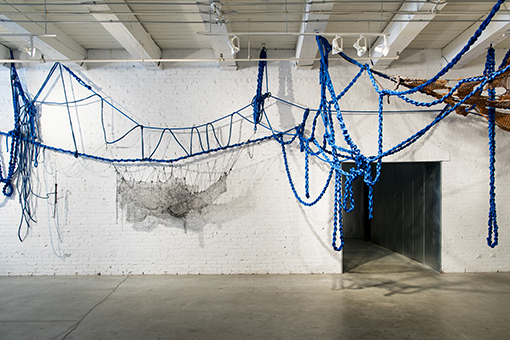 Her work has been included in important group exhibitions such as the first Greater New York at PS1/MoMA, New York, NY; Hand + Made: The Performative Impulse in Art & Craft, Contemporary Art Museum, Houston, TX, and Artisterium, Tbilisi, Republic of Georgia.